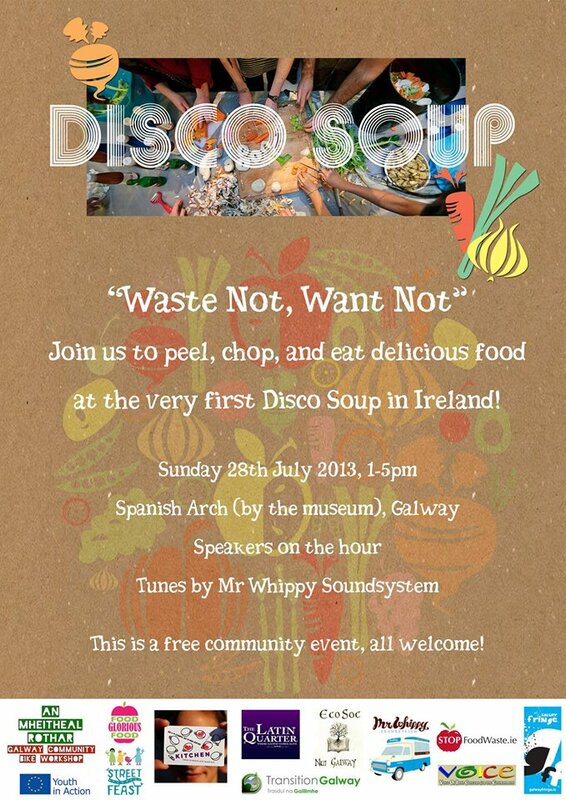 “Waste Not, Want Not” the popular food waste revolution Disco Soup afoot in Ireland! 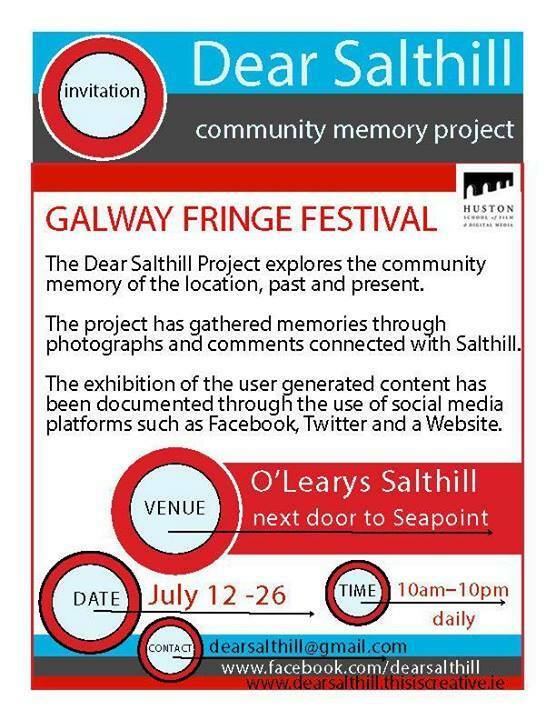 Sunday 28th July 2013, 1-5pm, Spanish Arch (by the museum), as part of Galway Fringe Festival. You can help to peel, chop, and eat delicious food made from wasted vegetables and fruits at the very first Disco Soup in Ireland! 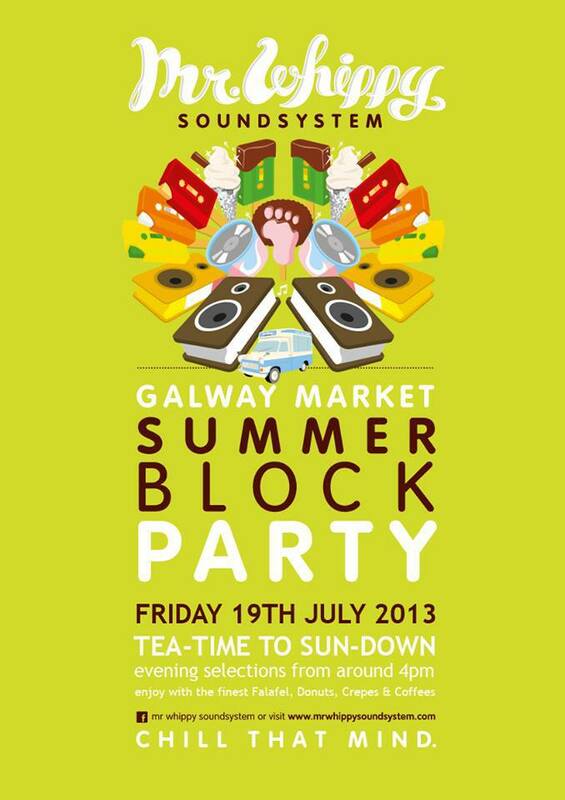 Speakers on the hour and funky tunes by Mr Whippy Soundsystem. Did you go last friday to the Summer Block Party, with Mr Whippy’s music? 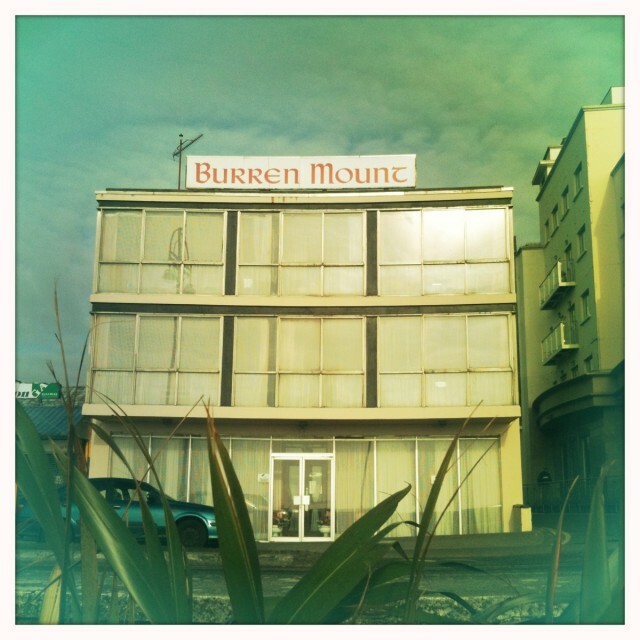 It was such a great idea we are waiting for a second edition! 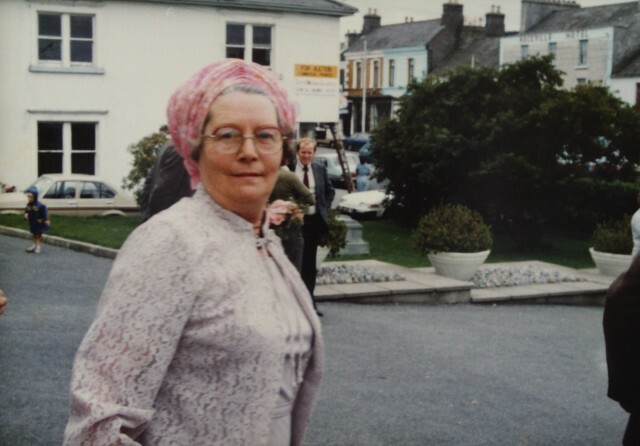 An Mheitheal Rothar (Galway Community Bike Workshop), The Kitchen Galway and The NUIG Ecology Society have come together to organize the first Disco Soup in Ireland, a community-run event that aims to serve a free hot lunch to the participating public while raising awareness of the issue of unnecessary food waste in our society. Volunteers and visitors alike will peel, chop, and eat a vegetarian meal made from misshaped or otherwise wasted vegetables and fruits, between 1 and 5pm on Sunday 28th July In Spanish Arch, outside the Galway City Museum. There will also be a number of short talks and some information on reducing food waste.